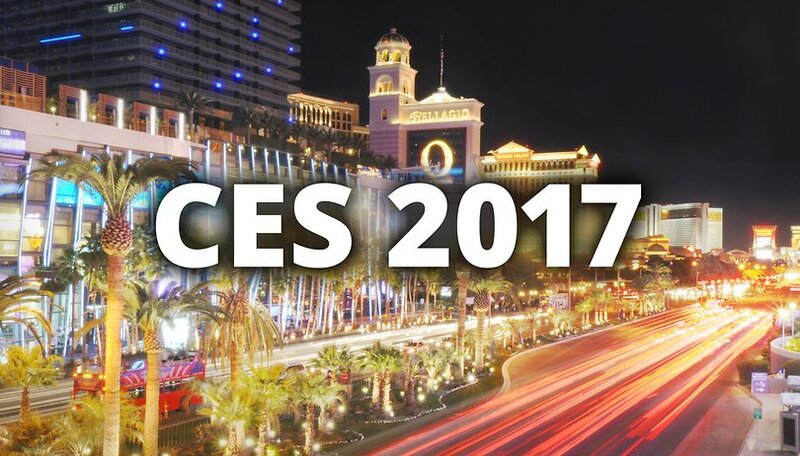 CES 2017, one of the world’s largest electronics trade shows, is heating things up this winter by raising high-tech to a fever pitch as it does every year. The biggest brands and manufacturers are convening to present their latest innovations and we will definitely be present to give you a review. What are the most exciting devices to be revealed this year? The Consumer Electronics Show (CES) is one of the largest high-tech trade shows in the world and focuses entirely on technological innovation in consumer electronics. It takes place every January in Las Vegas and has been running now for over 40 years. This year it lasts from January 5-8. This event brings together professionals, journalists and individual tech aficionados. Nearly 200,000 square meters of exhibition space is available! Last year, over 3,600 exhibitors from over 140 countries attended the conference. What are the big picture trends of CES 2017? Obviously, classic Android devices are being revealed: smartphones, tablets and some smartwatches. Having said that, more futuristic items are also joining in the festivities this year: drones, connected devices (for the smart home), connected cars, connected accessories (notably Bluetooth audio equipment), AI personal assistants, 3D printers, new wearables for health and sleep tracking, plus new VR accessories. The new ZenFone 3 Zoom is built for photography enthusiasts who need a long lasting battery. The phone will come with a very large 5,000 mAh battery. It will be powered by the Snapdragon 635 processor. The 5.5-inch smartphone will have a dual camera, both with 12 MP. Its SuperPixel technology will give it 2.5x more light sensitivity than the iPhone 7 Plus, and 10x more than an average smartphone. The large battery will allow for 6.4 hours of 4K UHD video capture on one charge. The full specs are available here. This smartphone will combine Google's AR and VR technologies, Tango and Daydream. Many had been waiting on Google's Tango technology for so long the idea was almost buried before being dredged up by the Lenovo Phab 2 Pro. Just as a reminder, this technology allows a different visualization of space through a smartphone, analyzing distances and most notably focusing on the concept of augmented reality. It will be powered by the Snapdragon 821 processor plus 8 GB of RAM and it will have a Tri-Cam system. The three cameras will be one 23 MP main camera, plus a motion tracking camera and a depth-sensing camera. The 5.7-inch WQHD Super AMOLED display with a five magnet speaker will make Daydream VR apps come to life. Yes, that's right, Blackberry is still around. The long awaited "Mercury" smartphone was announced at CES. The device is a product of Alcatel's parent company, TCL, and Blackberry's new formal relationship. The smartphone will feature a Blackberry-style keyboard but we don't know much since the announcement was light on details. There is a fingerprint sensor built into the space bar, and it has capacitive touch technology for scrolling. It will run Nougat, which is a pleasant surprise. The outside of the phone will be rubber and metal. For now, the screen size, camera specs, processor, RAM, battery size, price and release date are unknown. Now that they've begun hyping the phone up at CES, we're hoping to hear more at the forthcoming MWC. HTC has landed on both feet in the VR domain with the HTC Vive. They confirmed that they didn't reveal a second generation of the Vive, but rather they are going to expand ecosystem offerings for the device, so we can expect new accessories and virtual reality content from the manufacturer. The new Vive Tracker is a tiny device that can attach to any item to turn it into a VR controller. You could attach it to something like a baseball bat to fight zombies in a VR game, for example. This will allow for a limitless range of new "controllers" for the HTC Vive. At CES, we found out that the Huawei Mate 9's official US release is January 6, but it looks like we still won't be seeing the P10 until early April. We may not be getting much apart from the Mate 9 with the Alexa AI, but Huawei did give us a glimpse of the future of the company. Richard Yu, CEO of Huawei Consumer Business Group, delivered a keynote address in which he covered the company's global vision and plans for the future of mobile, which will include AI, VR, and connected technologies. The keynote focused on the concept of the "intelligent phone" - which goes beyond the capabilities of a smartphone by incorporating more in-depth AI and other functionalities like air and taste sensors, robotics, smart touch, local decision making and deep learning - in order to make the device the control hub of several smart devices' platforms (for the home, car, office, health and more). Last year, Lenovo unveiled the Phab 2 Pro which was fully compatible with Tango technology. Are we getting a new version this year? No, but we are getting a new wave of apps for the world's first Tango enabled smartphone, including iStaging, Matterport and Hot Wheels Track Builder. Lenovo is bringing us an Amazon Alexa-powered smart speaker. The device will be available for $129, and there will be a Harman Kardon premium audio version for $50 more. At $129, this device is cheaper than the Amazon Echo, and even looks like the Echo too. Lenovo's first try at a VR headset comes in the form of a prototype headset on display at CES that works with Microsoft's Windows Holographic platform. The $300-400 device sits on the head and dangles in front of the user's eyes. It has two 1,440 x 1,440 OLED panels; higher res than both the HTC Vive and Oculus Rift. In addition to the holographic (optical projection) mode, there will also be two cameras in the front for mixed reality applications. The LG G6 is expected to debut at MWC in the very near future, but we still have some news on the phone from CES. LG said they will be ditching the modular design of the LG G5, which wasn't exactly a splash hit due to its clunky implementation. For the latest on the LG G6, check out our full article with all the rumors, official announcements and tech specs we know so far. LG has been present at CES since its beginning, and though the Korean manufacturer was at this year's show, they didn't launch anything truly amazing. In fact, the only interesting thing about the phones they've launched at CES is the removable battery. LG has announced five uninspiring new phones at CES: the Stylo 3 (Stylus 3 outside of the US), and four fresh K series phones (K10, K8, K4 and K3). The mid-range Stylo 3 is the most intriguing of the group. The 1.8mm diameter fiber-tip stylus pen is meant to "provide the feel and feedback of an actual pen when writing on the screen." It has a large 5.7-inch screen with 3 GB of RAM and an octa-core processor. It will have 13 MP (rear) and 8 MP (front) cameras, and be available in two colors: Metallic Titan and Pink Gold. The four K series phones will come in a range of sizes: 5.3 inches (K10), 5 inches (K8 and K4), and 4.5 inches (K3). The K10 offers the best specs with a fingerprint scanner, wide-angle 5 MP front camera and a 13 MP rear camera from the G series flagships. The K8 and K4 share a 5-inch in-cell touchscreen, but the K8's is HD while the K4's is FWVGA. The K3's screen is just a tiny 4.5 inch FWVGA display. The cameras are a main differentiator between the three smaller models. The K8's cameras have 13 and 5 MP, the K4 has 5 and 5 MP, while the K3 has a deeply unimpressive 5 and 2 MP. The only exciting thing about any of these phones is the removable battery. How LG plans on being competitive in this space is a mystery, but they've unveiled the Hub Robot at CES on January 4. The cutesy Hub Robot and Hub Robot Mini will be a voice activated personal assistant which can control smart home devices with the LG AI, just like Amazon Echo or Google Home, but with animated eyes (for some undiscernable reason). LG's new smart refrigerator has the WebOS operating system and is integrated with Amazon's Alexa. With the smart fridge you can use voice commands to order groceries, look up recipes, leave notes for your family, and keep track of expiration dates on foods. In addition to Alexa voice controls, it of course has a giant touchscreen. We don't yet know the how expensive it will be or when it will be released, so it's tough to know when this cool but slightly absurd connected appliance will make its way to homes near you. Samsung didn't bring much to the table in terms of smartphones for CES. Still no news on the cause of the Note 7 debacle, but the press conference was kicked off with an acknowledgement of the company's "challenging year." Just prior to CES the company revealed some new members of its A series of phones for 2017. See our full article on the 2017 Galaxy A5 and A3 models for all the details. Samsung announced some new QLED TVs, not to be confused with the same display tech as LG's OLED ones. QLED is an improvement upon Samsung's quantum dot technology for its LED TVs. The 75-inch Q8C QLED TV will have 100 percent color volume that's sure to please consumers. Samsung also unveiled its very first gaming laptop, the 15 and 17-inch Samsung Notebook Odyssey. More details on the 17-inch are coming later in Q1 or Q2, but we know that the 15-inch version will have Intel’s 7th-generation Core i7 processor, 32 GB RAM, 256 GB SSD and HDD dual storage, plus a solid NVIDIA GTX 1050 graphics card. Samsung also announced the Samsung Chromebook Plus and Pro, which will have a metal body and easily switch from notebook mode to tablet mode. The Gear S3 will now have an LTE-capable version, but that seems to be all of the smartwatch news from Samsung at CES. Sony's A1E OLED TV was the star of the press conference. Oddly enough, this device has no speakers. The sound we're told by Sony President Kazuo Hirai comes from vibrations in the screen, which is a pretty cool innovation. The OLED display market in the US is no longer cornered by LG, with this new TV coming from Sony. There were also two LED TVs revealed, and a Blu-Ray player in addition to several audio products. Apart from the OLED TV though, the other big new thing from Sony was their VPL-VZ1000ES short throw projector. It can project a 100 inch image from six inches away! It's a very cool gadget, but don't get your hopes up if you're thinking of buying one already: the price tag is $25,000. Xiaomi's first visit to CES wasn't their grand entrance to the US market. They revealed a white version of the Mi Mix, which is currently only available in black. They also showed off a modular 4K TV, the Mi TV 4, and a router, the Mi Router HD. Any of these devices could have been appealing to the US, or even global, market. But, Xiaomi chose not to release any of them outside of China. Maybe next time, folks. The affordable 5.5-inch Blade V8 Pro is the first of the Blade series to be released in the US, and it has a dual camera setup. Both rear cameras are 13 MP, with an 8 MP front camera. The other specs are decent, with a Snapdragon 625, 3 GB of RAM and 32 GB of internal expandable storage. It's unlocked across all US networks and has dual SIM. It's on sale as of January 18 for $229.98 from zteusa.com, B&H Photo, and Newegg. The Hawkeye smartphone is the result of ZTE crowdsourcing their fans' desires for a smartphone, and making it a reality through Kickstarter. You can pre-order the device for $199, and see the full Kickstarter page here. It features and eye-tracking sensor to scroll through pages based on your eye movements and a self-adhesive back so it can be mounted on any surface. Qualcomm is one of the most well-known processor manufacturers. In 2016, a good number of flagships proudly sported their Snapdragon 820 because it worked so well, with only Huawei and Samsung (in its European version) opting to use their own in-house material. We reported recently on the death of smartwatches, but it seems that Google is interested in reviving them with Android Wear 2.0. Manufacturers will reveal new devices with Android Wear 2.0 as early as January at CES, according to Jeff Chang, the product manager of Android Wear at Google. The Verge reports that Google is "committed to supporting and promoting these launches in order to help build awareness in a consumer climate that is becoming increasingly adverse to smartwatches and wearables in general". Several Fossil Group brands have confirmed that they will be at CES presenting new wearables, including Diesel, Michael Kors, Skagen, Emporio Armani and, of course, Fossil. What are you hoping to see at CES? What announcement has excited you most? What an Impressive CES round up .. The Best i have seen . Well Done and Thanks ! wew, amazing i am waiting to see honor x6 this time.. This is a hell of an article. Too good and really very nicely written. Things have become clearer to me now after reading this as now I know what things we would expect in 2017. Glad you liked the article, Nisha. Check back for more updates throughout the week! I don't believe enough people will trust Huawei for them to make number one. To many people are scared of China making their cellphone's. No problem Brittany I just feel that Americans wouldn't trust them. More like the revival of Android Wear. I see Apple watches EVERYWHERE!!!!!! Are you considering a smartwatch for 2017? There should be some good ones revealed at CES. I am looking for one that is NOT made in China. It would not surprise me one bit to see Huawei overtake LG and HTC completely. LG desperately needs a new design department and HTC still hasn't gotten advertising right.